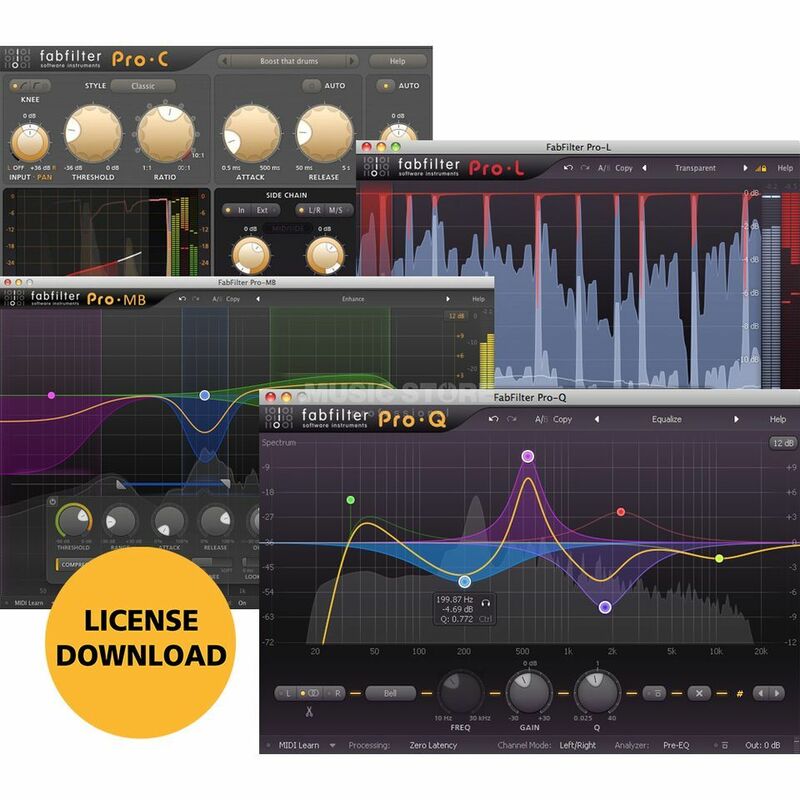 The FabFilter Mastering Bundle (Download) consists of four plug-ins including the Pro-L Limiter, Pro-MB Multiband Compressor and Expander, Pro-Q 2 EQ and Pro-C 2 Compressor, in VST/VST3/AU/AAX/AudioSuite 64-bit formats and RTAS 32-bit format. With the Mastering Bundle, you have all of the essential plug-ins for mastering. Pro-L is a feature-packed limiter for mastering and mixing with multiple advanced limiting algorithms and accurate metering. Pro-MB is a powerful multiband compressor/expander that combines exceptional sound quality with great interface workflow. Pro-Q 2 is a top-quality EQ with perfect analogue modelling, linear phase processing and an attractive interface with unrivalled ease of use. Pro-C 2 is a professional compressor with versatile side chain and routing options, high-quality sound and an innovative interface.